North Carolina DWI what can I expect? Like many state DUI laws, North Carolina DWI laws are continuously updated by the North Carolina state legislature and become stricter as new laws are adopted. Updates have been made in 2006 as well as 2011, with the most recent amendments making it easier to receive jail time, even for first-time offenders. The legislature has also reduced the ability of the trial judge to impose penalties and sentences at their own discretion. What are the penalties for a first-time North Carolina DWI arrest and conviction? Its not unusual for many drivers who are arrested for a North Carolina DWI to simply plead out the charge without fighting the conviction. Unfortunately, if you are convicted of a first-time North Carolina DWI you can expect to have your license suspended up to one year, serve jail time or community service and have your insurance rates increase up to 330%. With this in mind, it may be a good idea to talk to a good DWI lawyer. North Carolina DWI laws differ from other states. There are five levels (with five being the least severe penalties) for each offense and each level has distinctive factors and standards. To determine whether you will be charged with a level one to level five offense the judge will consider the aggravating and mitigating factors. Assuming there are no "Grossly Aggravating Factors" involved a judge is left to weigh the aggravating and mitigating factors to determine the fate of the convicted. What are aggravating factors? They could include a blood alcohol concentration above 0.15%, reckless driving, driving with a revoked license, prior DWI convictions, speeding and eluding an officer, driving more than 30 MPH over the speed limit or passing a school bus illegally. Mitigating factors can include a safe driving record, voluntary submission to a mental health facility for evaluation, low blood alcohol concentration, driving lawfully at the time of the North Carolina DWI arrest and driving with only a slight impairment. Can I lose my license if I am not convicted of North Carolina DWI? 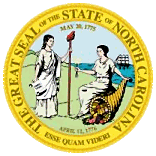 North Carolina has implied consent laws and if you are operating a motorized vehicle you have given your consent to submit to a chemical test or your breath, blood or urine if arrested for a North Carolina DWI. If you refuse to submit to the BAC test you will have your drivers license immediately suspended for 30 days. You may challenge your suspension through a court hearing, but if you lose at the hearing your license may be suspended for an additional 12 months, even if you are ultimately found not guilty of a North Carolina DWI. Can I plead to a lesser charge after a North Carolina DWI? Some North Carolina DWI charges may be pleaded down to a wet reckless. This generally occurs only if you have no prior record, your BAC was borderline and you did not cause an accident. If you are arrested for a North Carolina DWI after a wet reckless charge or plea bargain has been accepted the court may consider the first arrest a DWI and the resulting penalties for the following North Carolina DWI could be what they would have been for a second DWI charge. North Carolina DUI- Will it be my second or third DUI charge?